When trying to lose weight, the first items to cut back on are sugars and starches. These are high in carbs and have a negative impact on your body. Moreover, when you consume less sugar and starches your hunger level automatically declines, and you eat fewer calories. This way your body will start feeding on stored fats, rather than burning carbs for energy. Each meal you consume should include protein, low-carb vegetables, and a fat source. It is crucial that you eat plenty of proteins as higher protein diets can help reduce cravings and food-related thoughts, keeping you away from late night snacks and mindless eating. Protein Source: Beef, chicken, lamb, pork, salmon, shrimp, trout, eggs, etc. Low-Carb Vegetables: Cauliflower, broccoli, spinach, kale, tomatoes, cabbage, lettuce, etc. Fat Source: Coconut oil, olive oil, avocado oil, and white butter. Apart from eating healthy, you must keep your body well hydrated at all times. Increasing your body’s water intake is a simple and easy way to boost weight loss. Water can help increase your metabolism rate while filling your stomach. Moreover, it can help flush toxins out of your system, and keep you full. Apart from what you eat, when you eat is highly important. Most individuals skip meals and then take on a great load at one time. This is not recommended and can mess with your body’s functions which is why we suggest you eat small portions throughout the day. This will help keep your metabolism up and running while offering your body energy to get things done. One of the best ways to reduce weight is by avoiding alcohol in any form. As much as you’d love a glass of wine or a chilled beer at the end of the day, try to cut down on your alcohol consumption. Yes, there are low-calorie drinks but drinking any alcoholic drink can hamper weight loss efforts. Alcohol severely dehydrates the body causing the metabolism to slow down and all kinds of other nasty things. When actively dieting it’s a good idea to drink no more than 2-3 alcoholic drinks per week. And stay hydrated! 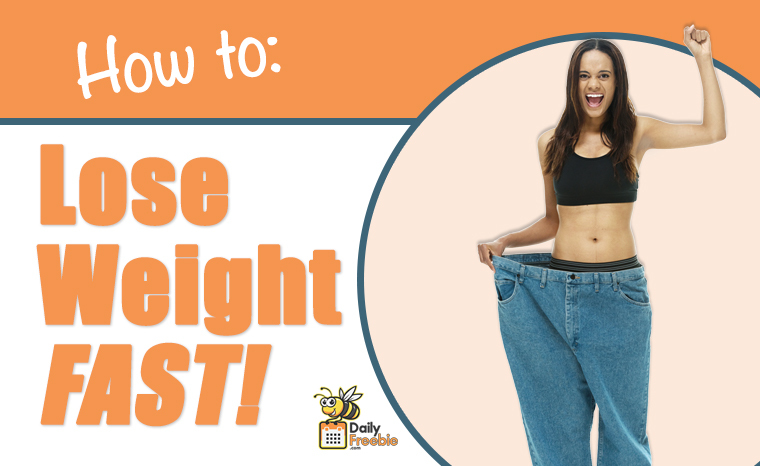 These tips can help you get on the right track, but how much weight you lose is totally up to you. Dedication will play a great role throughout the journey so keep your head and spirits high!